There are four shark conservation related stories in this morning's Fiji Times. Shark conservation is big news in Fiji these days. 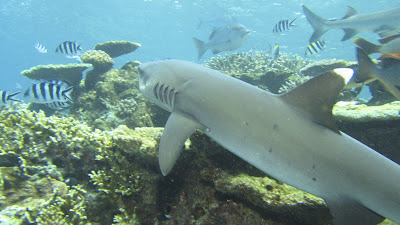 The Australian Institute of Marine Science released a socioeconomic report on the importance of shark tourism to the Fijian economy, calculating that sharks bring nearly F$75 million in tourist spending to the country each year. The Fijian police also pledge their support to shark conservation, even while shark fishing continues (the reporter interviews a fishermen who sold juvenile tiger sharks and hammerheads to Chinese traders for $8 a piece). 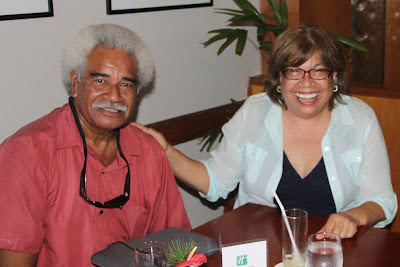 Pacific Shark Defenders Unite: Ratu Manoa "The Sharkman" Rasagitale with Guam Senator Carlotta Leon Guerrero. Data sharing among Pacific island states will help them protect sharks, says a leading campaigner from Guam. Carlotta Leon Guerrero, who returned home over the weekend after visiting Kiribati, said islanders should do all they can to conserve their tuna stocks and stop the indiscriminate killing of sharks in our Exclusive Economic Zone (EEZ). She said officials in Kiribati were studying plans to protect their seas and had taken data shared by other island states, including Fiji. 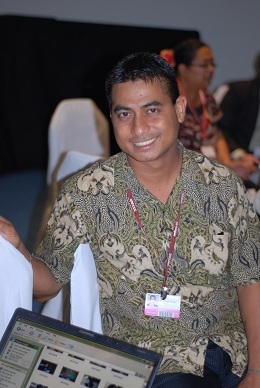 "After my presentation, they asked me 'which country has the toughest law' and I told them the Marshalls Islands. They simply said 'that one is what we want'." The Marshalls has declared its waters a shark sanctuary, imposing heavy fines on fishing vessels that breach that. It has also banned ships that have sharks as by-catch from entering its ports. Money it collects from fines goes towards the enforcement of its laws at sea. "As Pacific islanders, we should stand up to these distance-fishing nations to change their gear, which is depleting our marine stocks. "The reason for the slaughter of sharks is wrong. The Asian delicacy of shark fin soup, for which these sharks are senselessly killed for, is just to show off." I have heard through the bubbles that your government is close to making a decision on shark protection in your waters. I strongly support any positive decision. 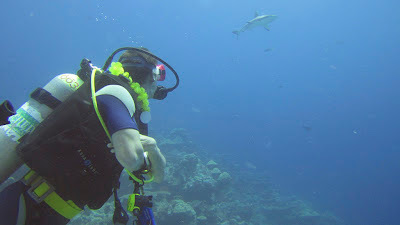 Fiji is on the top of my list as a destination to dive with sharks, I have a video clip from a friend that was taken at Beqa and I watch it often. The world is starting to wake up to the fact that we need sharks, an ocean with sharks is a healthy ocean. Please don't let the only sharks I see in Fiji be the ones that I watch in the video. As a citizen of the world, I urge you to please support shark protection in Fiji. Sharks are a very important part of the ecosystem and essential to the health of the world's oceans. 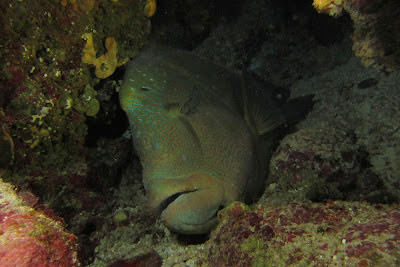 Plus, one of the main reasons I scuba dive is to see sharks. If you protect your sharks, shark loving divers will spend money in Fiji! It is a win-win situation for everyone involved, and the world will know how smart folks in Fiji are! Sharks are important to the environment, economy, and culture. I pledge to support policies and initiatives that protect shark species in Fiji and throughout the South Pacific. I can't wait to come visit Fiji sharks and just hope when the time will come there still will be some of them alive. As a fellow pacific islander living in South Florida, I was so proud and happy of my people voting to protect our local sharks of the Northern Mariana Islands, especially during these really tough times. As you know, sharks are being killed by the millions on an annual basis and conservation experts have stated that at this rate our grandchildren will not have the opportunity to enjoy their presence in the oceans and our marine ecosystem. They play their part in the sea and we ours on the land. Let them have the chance to replenish, so that we don't destroy our seas for our future generations. 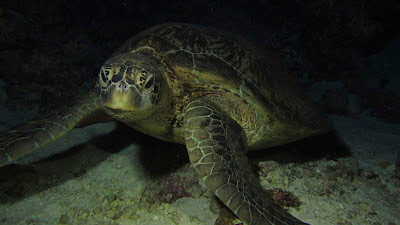 Pacific Islanders realise the importance our fellow sea creatures play in the way this world runs. Because of our island roots, we have a deeper connection to our oceans. A strong ocean signifies a strong beating heart and spirit of our native people. Help maintain the peace of our seas and protect the sharks in our oceans from the irreversible impact of overfishing and exploitation. On behalf of Fijian sharks and sharks all over the world. AS the battle to protect the shark intensifies, it is good to note that diving to see, touch or simply experience the aura of these predators of the sea is aiding the local economy. Shark-related dives contributed $75million to our economy in 2010, a survey revealed. 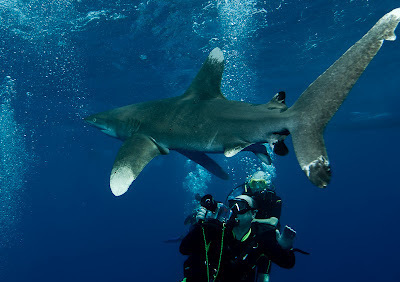 The study by the Australian Institute of Marine Science and the University of Western Australia discovered that shark diving was gaining popularity and is poised to become a tourism economic driver with conservation measures proposed to turn Fiji's waters into a shark sanctuary. While the industry contributed $31.2m in government taxes, $20.7m in corporate taxes and $10.5m in direct taxes from shark divers, local communities received $7.1m from shark diving operations. Spin-offs in terms of salaries paid out amounted to $6.9m for workers and $221,904 for traditional reef owners. 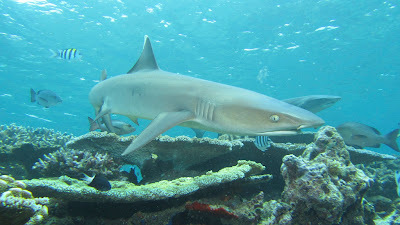 The survey also discovered that sharks were among the most significant creatures tourists wish to see when scuba diving. There is no doubt about the fact that this survey is good news for the tourism industry. The revenue is a factor which should be encouraged and nurtured. Considering the shark fin trade and the millions it is supposed to earn, this revelation stands out as a positive feedback in the campaign to protect our sharks. Living sharks are good for the economy and it is imperative that every effort is made to ensure they are around well into the future. 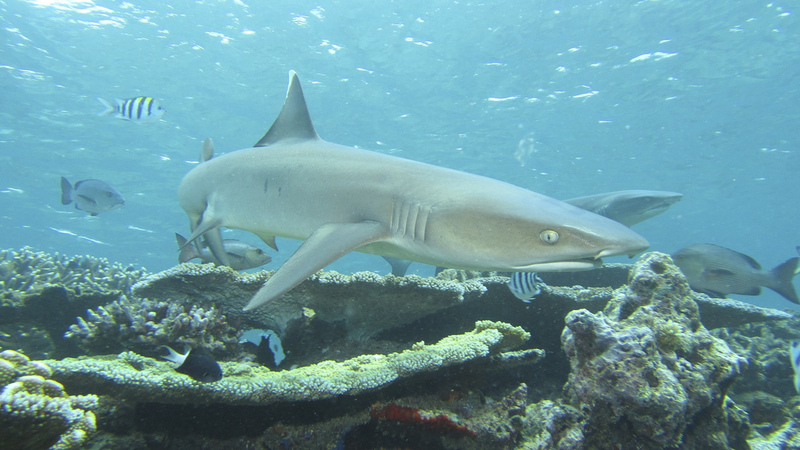 It is encouraging to note that Fiji offers world-class shark dives. It is up to us though to accept our blessings and learn to appreciate our surroundings. What separates Fiji from the rest of the top shark dive spots around the world is the interesting fact that we offer divers the opportunity to be among eight different species of sharks in one location reef. Tourism among other things depends on the goodwill of the people of this country to flourish. We can make or break it. It is up to each one of us to do the right thing, for ourselves first and for our country. A Fiji shark sanctuary is not a bad idea. But there are sceptics who may insist consideration must be there for the people on the frontline ù the men and women in the fishing industry and how any law protecting sharks could have an impact on them. Perhaps we need to consider the fact that up to 73 million sharks are killed each year for their fins, but this new report adds to the growing knowledge that they are worth much more alive than dead. 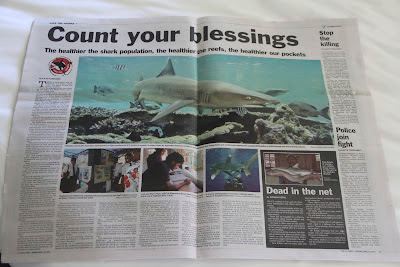 Protect Our Sharks was published by Fiji Times Editor-in-Chief Fred Wesley on Friday, April 20, 2012. It’s been a long time. My research is on-going with some set-backs experienced, but you learn to develop even more patience and/or pick up the pieces and move on. Fiji experienced major flooding on our main island, Viti Levu, in late January and again in March, with thousands of people being displaced from their homes. The rain and flooding were caused by a series of low pressure weather systems, fortunately not developing into cyclones. Some towns were inundated more than once in a span of two weeks. Bad weather saw it unsafe to launch our boat for field research for a while. Then my place was broken into! Taken were the video camera for the BRUVS research, laptop, and external hard drives. My raw data was on the one hard drive that wasn’t taken, so all that work wasn’t for nothing. I am slowly reanalysing data, replacing the stolen equipment and trying to get funding for another camera. Lesson: as soon as I back-up my data, copies are moved and kept everywhere. With the BRUVS study on hold until the camera is replaced, the shark nursery portion of my research has started and this is keeping my team busy. 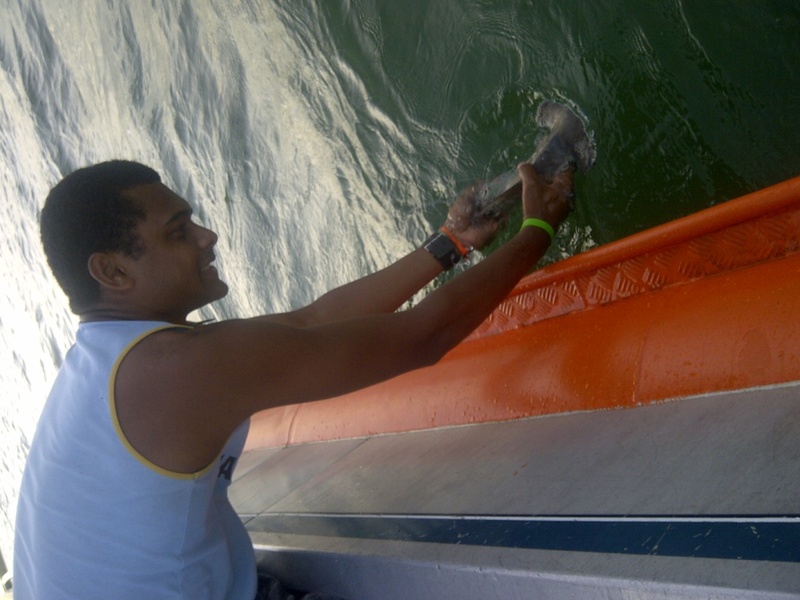 The objective of the this study is to find out if the estuary of the Rewa River (Fiji’s largest river system) is a nursery for the scalloped hammerhead shark (Sphyrna lewini) and we’re in the process of collecting data. As these photos can attest, the initial data collection seems to point to YES! This is a significant discovery. The IUCN Red List of Threatened Species assesses the scalloped hammerhead as Endangered globally. It is amazing to handle a juvenile shark of only 50 centimeters in length and realise that this beautiful animal can grow up to 4 meters. The study will continue for a couple months. I’ll let you know what we find. Special thanks to my volunteers for the great work done – even in the rain and until midnight! Until my next post, moce mada! The Coral Reef Alliance and Pew Environment Group are working with the Fijian government to protect threatened shark species in Fiji. These public service announcements feature Sharkman Manoa Rasagitale, Kelly Thomas Brown, and Sunil Raj of the Coral Reef Alliance, Carson Young of the Fiji Islands Voyaging Society, Miss South Pacific Alisi Rabukawaqa, Arthur Sokimi of Beqa Adventure Divers, and members of the Fiji Police Rugby Team. You can show your support for shark protections in Fiji by taking the Fiji Shark Defenders Pledge. 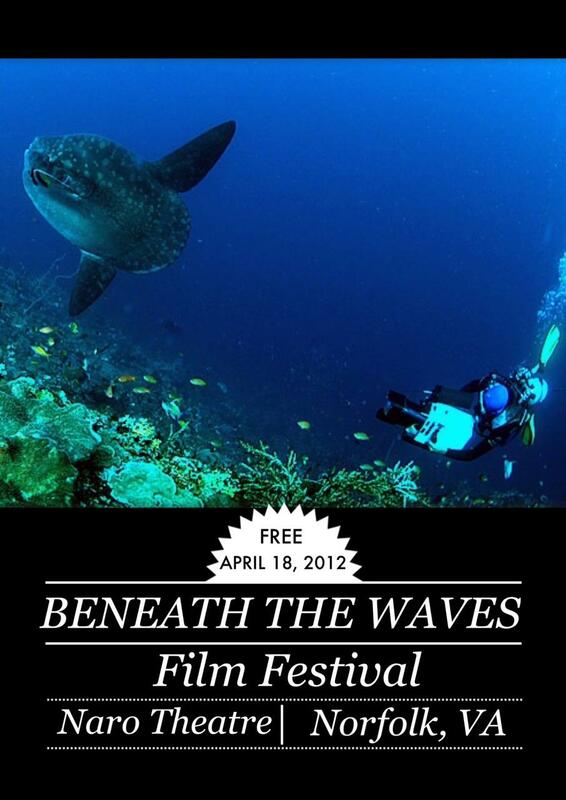 The Beneath the Waves Film Festival makes its way to Norfolk, Virginia at 7:15 PM tonight. If you are in the area, the event is free and open to the public. 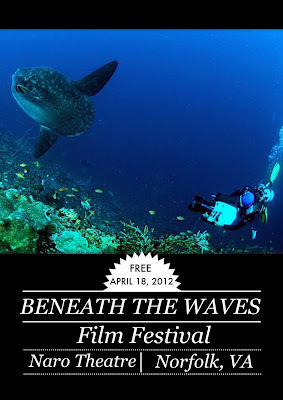 Our short film, Sharkwater Saipan, is featured as part of the film festival. When it comes to petitions, we try to steer our readers and followers towards taking actions that lead to solid policy outcomes. Consumer campaigns certainly play a role in protecting shark species, but we try to focus on supporting policies that ban the trade of shark, create shark sanctuaries, or in someway mandate a reduction in the number of sharks killed. SHARK DEFENDERS WANTS YOU TO SIGN THIS PETITION. CLICK HERE TO SIGN. 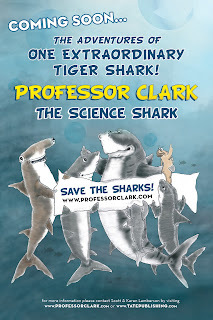 The Hong Kong Shark Foundation has a petition going that we think is important. They are asking the Hong Kong SAR Government to make it public policy not to serve shark products at official functions. Hong Kong is the center of the global shark fin trade, and if the government were to set a policy of not serving shark fin, it would set a precedent for moving towards a total ban on the shark fin trade. Some people who have tried to sign the petition have had trouble with the address and the mailing code. If this is a problem for you, go ahead and use 1000 Shark Defenders Street for the address and 73mil for the mailing code. Sharks are fundamental to maintaining the balance of the marine ecosystem. As apex predators at the top of the food chain, sharks help regulate the abundance and diversity of the extraordinary marine life beneath them. 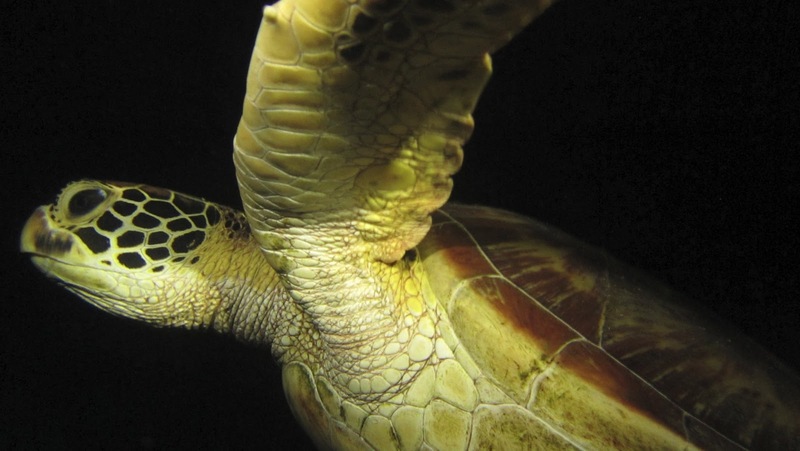 Declining populations therefore directly affect the health of our oceans. Shark populations worldwide are in rapid decline from overfishing and habitat destruction. In some regions, populations have fallen by as much as 90%. According to the globally recognised International Union for the Conservation of Nature (IUCN), almost 56% of shark species (where there is sufficient data to determine conservation status) are at high risk of extinction either now or in the near future. That’s 143 shark species! The demand for shark fin soup is driving this decline. The fins from up to 73 million sharks are traded worldwide each year (around 200,000 sharks per day!). Based on official (FAO) statistics, global shark catches are likely to be underestimated by an astonishing three to four fold. Hong Kong is the centre of the global shark fin trade, being responsible for approximately 50% of global imports annually. The trade is highly valuable to a relatively small number of traders with retail prices ranging from 1650 HK$/kg (212USD) to 14,550HK$ /kg (1870USD). The Hong Kong trade is unregulated. No scientific identification i.e. genetic test of imported fins is required other than for the three species protected under UN Convention on International Trade in Endangered Species (CITES). Research published in 2006 showed that approximately 40% of the auctioned fin weight in the Hong Kong shark fin market came from 14 shark species listed in the IUCN Red List of Threatened Species. Recent research conducted in 2011 also confirmed that IUCN Red List Species are being traded in Hong Kong. The HKSAR government’s behaviour is contrary to its own assertion that it ‘pays heed to the principles of sustainable development and to the commendable foresight it demonstrated recently upon becoming a signatory to the UN Convention on Biological Diversity. The aim of the Convention is the conservation of biological diversity and the sustainable use of the components of biological diversity. To date there is only one relatively small MSC-certified shark fishery which cannot support the demand of the global shark fin trade. Shark fin soup is widely consumed in Hong Kong and is served largely on special occasions, such as banquets and official functions. In a recent survey, 73% of Hong Kong people had consumed shark fin in the previous 12 months, compared to just 6% for shark liver capsules and 3% for shark meat. The Hong Kong government includes 69 departments/agencies as well as 15 policy bureaus (including government secretariat) and public funds are used for official dining parties and banquets. The Government states that its banquets should ‘not include expensive food or endangered species’ and that its menus do not ‘generally include shark fin’. However, it does NOT monitor the use of public funds in this regard nor whether banquet menus actually include shark fin. Nor does it ‘think it appropriate to lay down guidelines to regulate the kind of food consumed at banquets’. We ask quite simply, in the interests of sustainability and the public purse, WHY NOT? Join us in requesting that the Hong Kong Government demonstrates its principles of sustainability by establishing a formal policy that shark and shark fin must not be served at HKSAR Government banquets, dining parties or other official functions. It’s a request that not only reaffirms the Governments own statements, but is both realistic and achievable. And what are those petitions we've asked you to sign? We have asked you to take the Shark Defenders pledge so that we can contact you from time to time to help, asked you to (successfully) protect sharks in Guam and Washington, and to (less successfully) protect whale sharks from purse seiners on the high seas, oceanic whitetip and hammerhead sharks in US waters, close down the shark fin trade in the United States, and protect grey nurse sharks in Australia. We also asked you to support shark protections in southeastern Mexico. 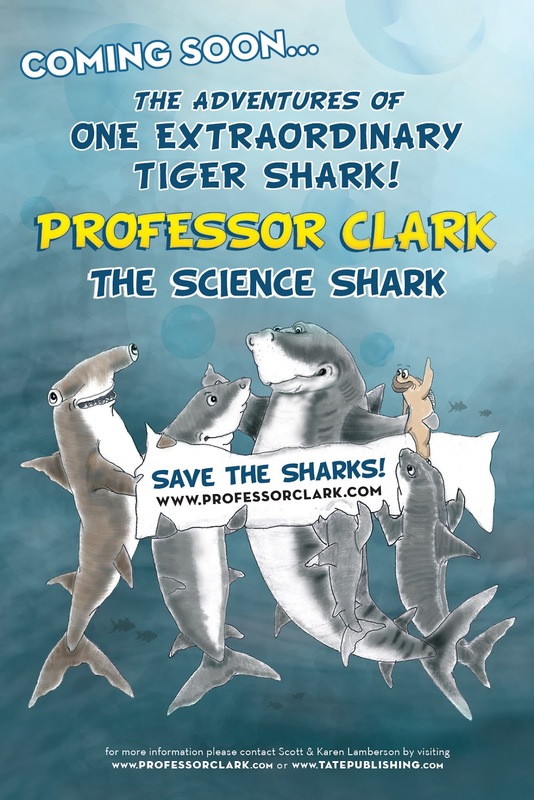 Dr. Giam Choo Hoo, a member of the CITES Animals Committee from Singapore, outraged the environmental community back in February when he claimed that eating shark fin soup helped poor fishermen in developing countries. Now a number of organizations, including Sea Shepherd, are calling for his removal. This video explains the controversy. Sharks are in trouble and they must be protected. We, I-Kiribati People, believe that we are ocean people as we depend so much on our ocean resources for our very existence, and traditional marine conservation practices is very much part of our Kiribati culture. If we are today exploiting sharks by overfishing them for their fins, then we lose part of our custom which makes us who we are, Ocean People. According to the Pew Environment Group, the decline in shark populations can lead to unpredictable consequences, including the collapse of important fisheries. Impacts from the loss of sharks can be felt throughout the entire system. In coral reef ecosystems, such as those in the Caribbean and the Pacific, corals depend on the herbivorous fish such as the parrot fish to eat algae and provide space for corals to settle and grow. When sharks are removed from the system, the larger fish which feed on herbivorous fish increase in abundance. 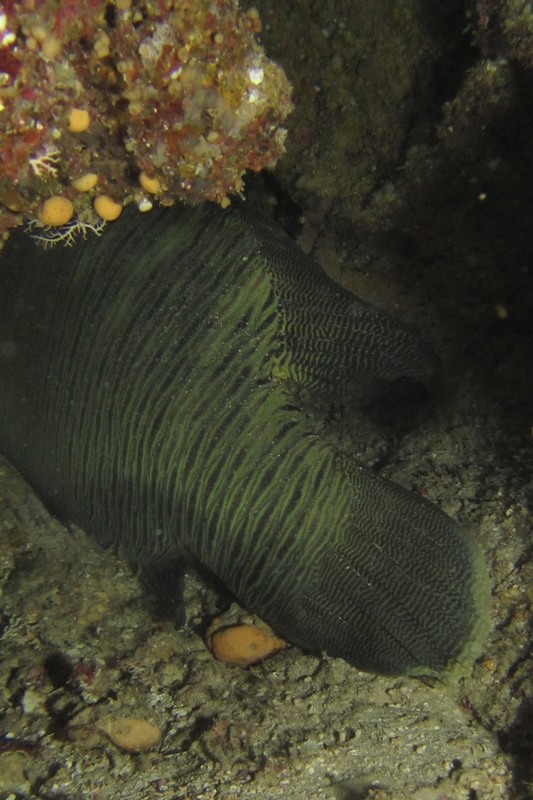 Without the smaller fish to eat the algae, corals can no longer compete for space. As a result, the ecosystem switches to an algae-dominated system, lacking the diversity and abundance of marine species (such as reef species we depend on for our daily food) once found within the coral reef ecosystem. 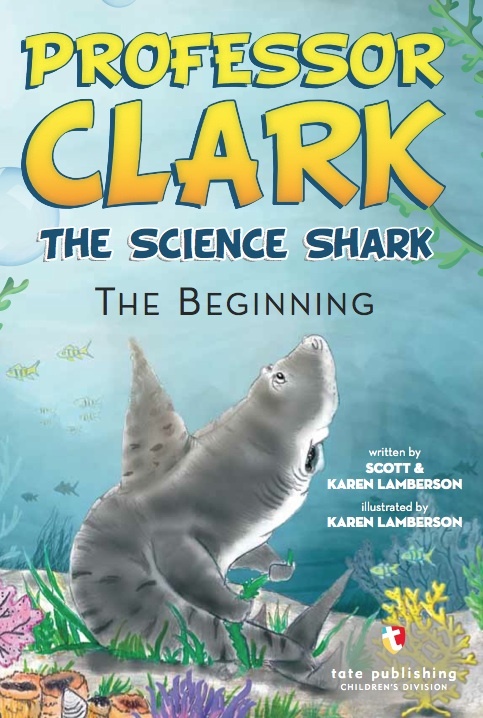 As the science says, sharks inhabited the oceans 200 million years before dinosaurs appeared. But now, just 50 years after industrialized fishing began, many of these vulnerable species may not survive this century. Sharks are ancient species that deserves safeguarding. Sharks fins have been considered one of the most valuable food items in the world, reaching prices as high as US$2,640 per kg. The value of shark fins has increased in recent years with the economic growth in China, and this growth is a major factor in the commercial exploitation of sharks worldwide (Clarke et al. 2006). A recent study estimates that as many as 73 million sharks have been killed in a single year to supply the fin trade, actual catches may be much higher. I am very concerned because sharks play an important role in the ecosystem and they are an important component in the protection of coral reefs. I have no doubt this is an issue that is close to the heart of the Kiribati people and government leaders. As an independent small nation, Kiribati has been recognized internationally for being outspoken on the issue of climate change. In a recent interview with The Fiji Times, the newly crowned Miss South Pacific of Fiji, Miss Rabukawaqa said shark conservation was an issue that needed to be highlighted so there was an understanding of the importance of this creature to the ocean ecological system. Miss South Pacific is also showing good leadership in driving this issue amongst her fellow Pacific Islanders and I am grateful for this. We must act now for this is not too late. We have neighboring islands in the region that are protecting sharks in their water. Last year the Republic of Palau declared its waters to be a shark sanctuary and banned commercial shark fishing, in their EEZ. Following Palau footsteps, Guam and the Northern Marianas (CNMI) passed a bill in banning the shark trade. The Federated States of Micronesia (FSM) is introducing a resolution this year to recognize the important role that sharks, rays, dolphins, and whales play in the ocean’s ecosystem, as well as a significant part of FSM’s cultural heritage and tourism throughout the FSM. 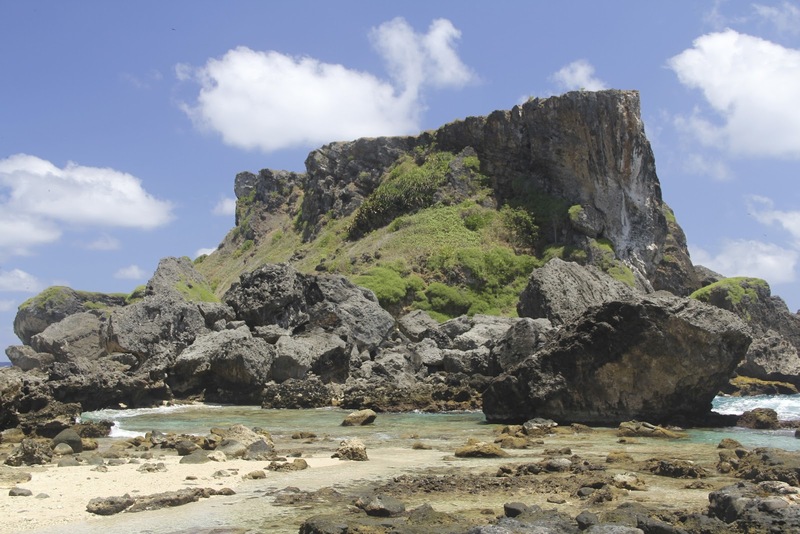 Recently, the Marshall Islands have joined Palau, the Maldives, Honduras, the Bahamas and Tokelau in delivering the gold standard of protection for ensuring shark survival by creating a shark sanctuary. I applaud the Republic of the Marshall Islands that is now home to the world’s largest shark sanctuary. 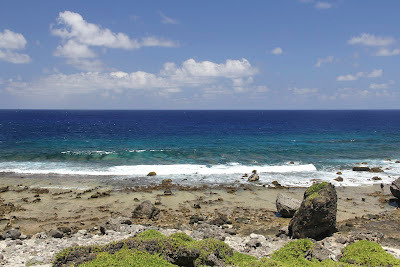 the Marshallese parliament, unanimously passed legislation in October 2011 that ends commercial fishing of sharks in all 1,990,530 square kilometers (768,547 square miles) of the central Pacific country’s waters, an ocean area four times the landmass of California. I hope that the Republic of Kiribati will join with other Micronesian leaders to make good on their collective promise of a regional sanctuary. This should be amongst the priorities for Kiribati in the first house of assembly in April this year. 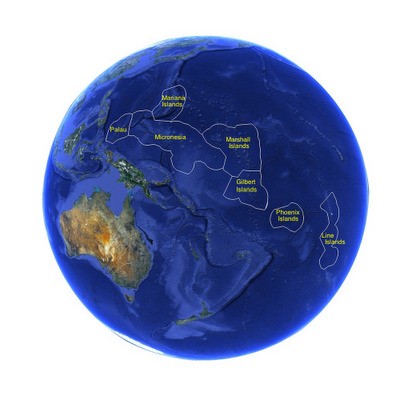 Kiribati stretches across the western Pacific and includes the Gilbert, Phoenix, and Line Islands. Ben Namakin lives in Tarawa, the capital. 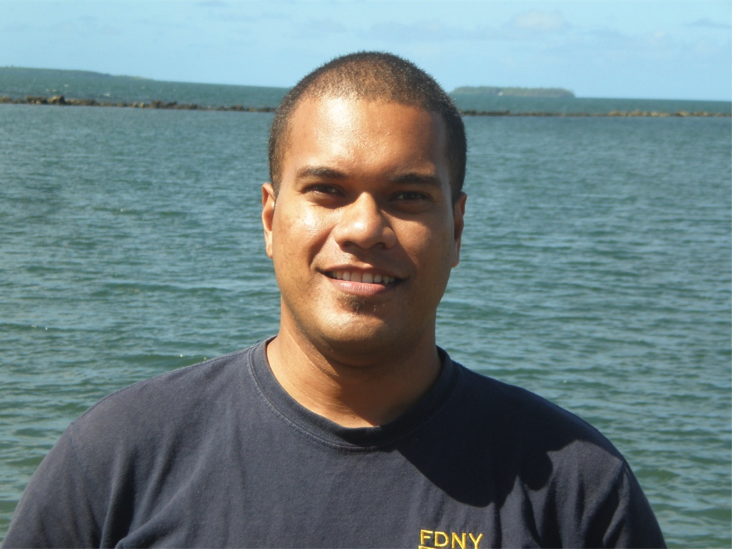 Follow him on Micronesia Shark Defenders. From April 1st to the 7th, Pohnpei will be celebrating Shark Week. 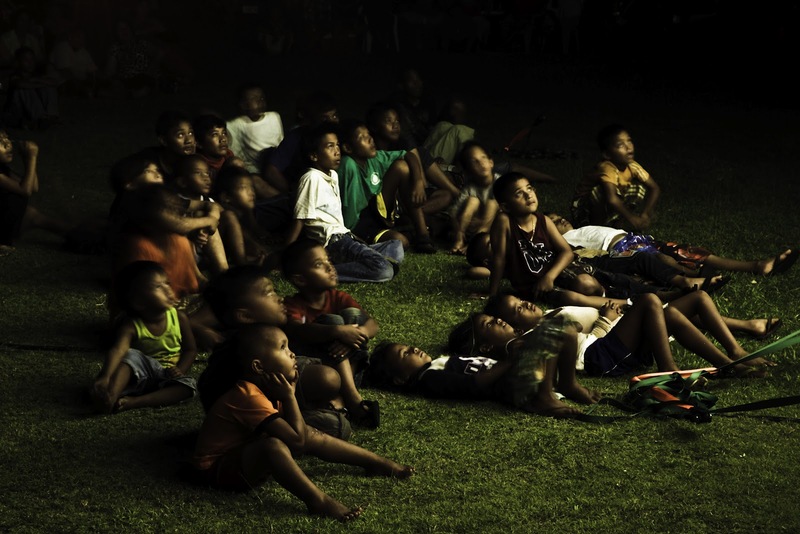 These celebrations are part of the Global Shark Campaign spearheaded by the Pew Environment Group and the Micronesia Shark Sanctuary Campaign headed by the Chief Executives of Micronesia. At their Micronesia Chief Executives’ Meeting in Pohnpei from July 25-28, 2011, the Chief Executives passed a resolution authorizing the development of a regional ban on the possession, sale, offer for sale and trade of shark fins in the Oceans of the Federated States of Micronesia, the Republic of the Marshall Islands, the Republic of Palau, the US Territory of Guam and the Commonwealth of the Northern Marianas Islands (Micronesia). 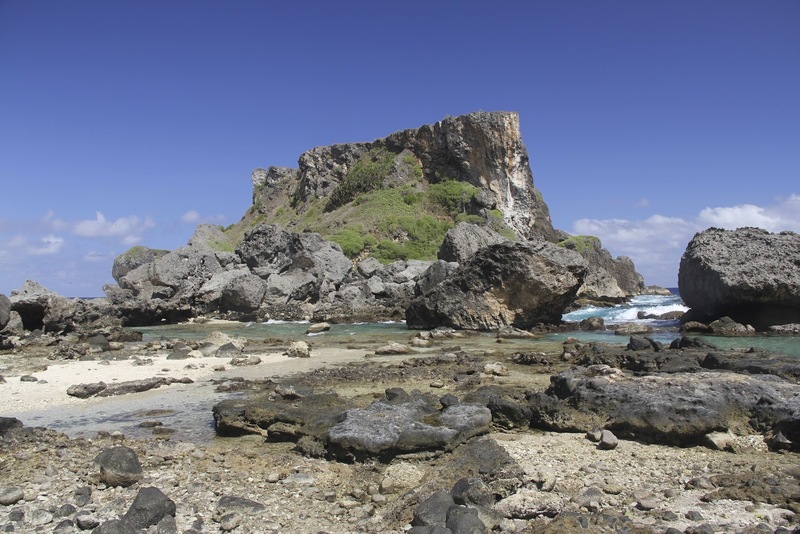 The resolution also calls for the establishment of a strategic framework in order to implement a marine based conservation program of action that will establish the world’s first and biggest regional shark sanctuary in Micronesia by December 2012. The Republic of Palau was the first nation in the world to declare itself a shark sanctuary. Since then the US Territory of Guam, the Commonwealth of the Northern Marianas Islands and the Republic of the Marshall Islands have all passed laws prohibiting the sale of shark fins and other shark parts. 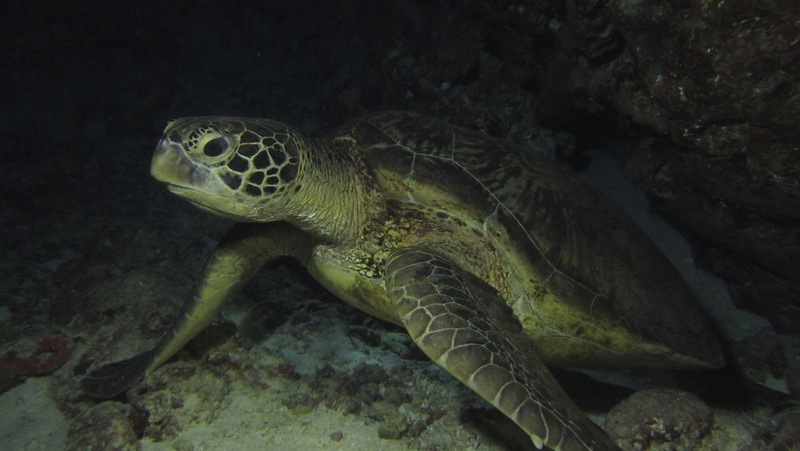 FSM has several bills introduced at the state levels and a resolution at the national level calling for the establishment of shark protection laws. The Pew Environmental Group is working with the Micronesia Conservation Trust (MCT) to support shark awareness and protection campaigns in the Federated States of Micronesia through MCT’s local partner organizations. The Pohnpei State Government and the Conservation Society of Pohnpei (CSP) are now leading the campaign in Pohnpei. 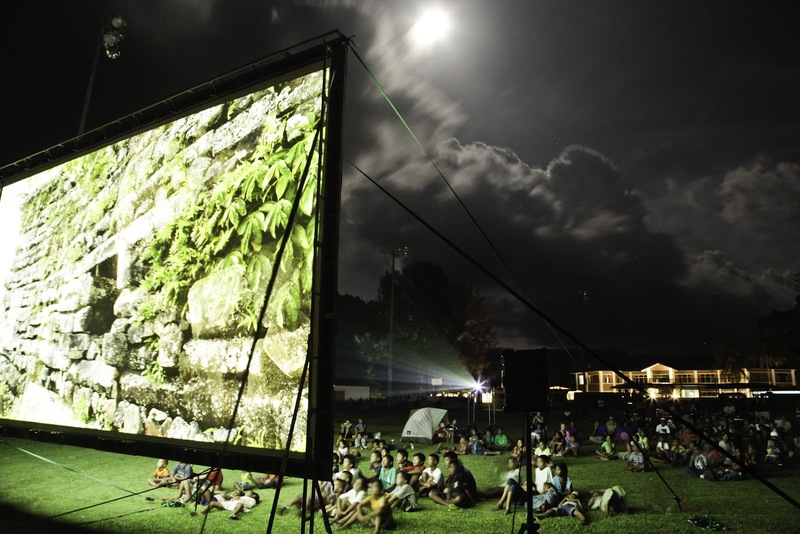 As part of these campaigns, MCT along Pohnpei State, CSP and others are working with a couple of professional videographers to develop a shark movie to be played on an outdoor screen at the Spanish Wall Park from April 5-7th. Why sharks? Sharks are apex predators that help to keep a balance in our marine ecosystems by weeding out the weak and sick fish and other marine creatures, ensuring that only the genes from strong and healthy fish and marine creatures are passed on. This is very similar to the way Pohnpeians or Pacific islanders take care of their crops, most especially their breadfruits. Farmers have to manage their breadfruits by constantly picking off the fruits that have disease so they don’t destroy the whole lot. A few spoiled or invested breadfruits can destroy an entire lot from a tree. By picking out the invested breadfruits, they ensure that the rest are saved and remain healthy/survive for longer periods. This is the same role sharks play on our reefs. Follow this link to submit a post to our Shark Defenders Tumblr page. (We're new to Tumblr, and still figuring out how it works). The United States, as a Party to the Convention on International Trade in Endangered Species of Wild Fauna and Flora (CITES), may propose amendments to the CITES Appendices for consideration at meetings of the Conference of the Parties. The sixteenth regular meeting of the Conference of the Parties to CITES (CoP16) is tentatively scheduled to be held in Thailand, March 3–15, 2013. With this notice, we describe proposed amendments to the CITES Appendices (species proposals) that the United States might submit for consideration at CoP16 and invite your comments and information on these proposals. Follow the instructions for submitting comments on Docket No. FWS–R9–IA–2011–0087. The Convention on International Trade in Endangered Species of Wild Fauna and Flora (CITES or the Convention) is an international treaty designed to control and regulate international trade in certain animal and plant species that are now or potentially may be threatened with extinction, and are affected by trade. These species are included in Appendices to CITES, which are available on the CITES Secretariat’s Web site. Currently, 175 countries, including the United States, are Parties to CITES. The Convention calls for meetings of the Conference of the Parties, held every 2 to 3 years, at which the Parties review its implementation, make provisions enabling the CITES Secretariat in Switzerland to carry out its functions, consider amendments to the lists of species in Appendices I and II, consider reports presented by the Secretariat, and make recommendations for the improved effectiveness of CITES. Any country that is a Party to CITES may propose amendments to Appendices I and II, as well as resolutions, decisions, and agenda items for consideration by all the Parties. Longfin mako shark (Isurus paucus)—Inclusion in Appendix II. Shortfin mako shark (Isurus oxyrinchus)—Inclusion in Appendix II. Porbeagle shark (Lamna nasus)—Inclusion in Appendix II or Appendix I.
Scalloped hammerhead shark (Sphyrna lewini), great hammerhead shark (S. mokarran), and smooth hammerhead shark (S. zygaena)— Inclusion in Appendix II. Oceanic whitetip shark (Carcharhinus longimanus)—Inclusion in Appendix II or Appendix I.
Bigeye thresher shark (Alopias superciliosus), common thresher shark (A. vulpinus), and pelagic thresher shark (A. pelagicus)—Inclusion in Appendix II. 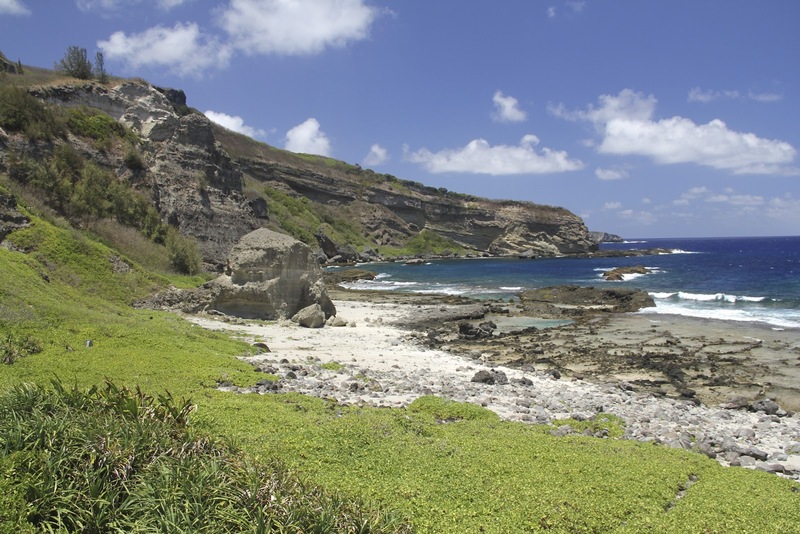 Regular readers will remember that Saipan is the largest island in the Northern Mariana Islands, and home to the world's second ban on the sale, trade, and possession of shark fin. The law was signed in January 2011, and similar laws quickly followed in Guam, Washington, Oregon, California, and a number of Canadian municipalities. Similar laws have also been introduced in Virginia, New York, Maryland, Florida, and Illinois. 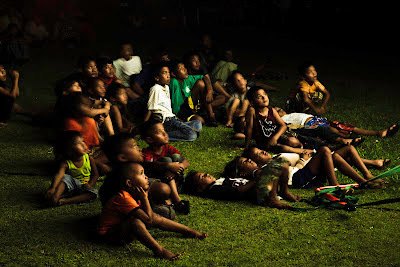 Rob Stewart told the story of the sixth grade class at San Vicente Elementary School who petitioned their government to pass the law in his short film, Saipan Sharkwater, which you can watch on Youtube. Rob captured some of these vistas in his mini-documentary, but nothing beats going there in person. 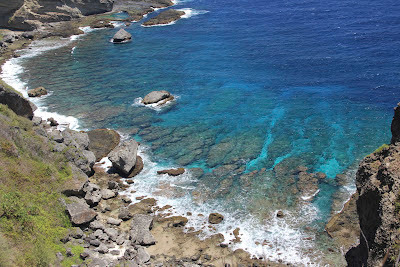 So the next time you are bumming around Micronesia, make sure you stop by Saipan.